Richard Powers is an extraordinary writer. If you’ve not yet discovered his novels, I strongly recommend them. He tackles big ideas which concern all of us while at the same time telling compelling stories about complex and conflicted characters who have a rich inner life and develop over time. He writes beautifully about science and music among other things and I find myself returning to the themes of his books long after finishing them. Reading a Richard Powers novel is like taking a comprehensive course in both the reason and the emotion of a given set of human challenges. 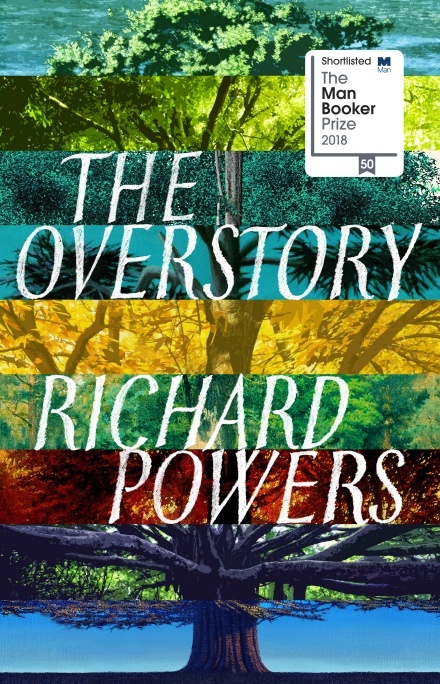 The Overstory is a kind of meta-narrative of a meta-life form; specifically old-growth forest, in all its richness and diversity. This is built on several overlapping and interlocking human ‘understories’ told at a human level while also being connected to the bigger scale and longer time-span of tree-life. This is not a book about trees, neither is it nature writing. It’s an attempt to demonstrate, through a web of human and tree stories, that the Earth’s living things are highly interdependent and that the way we are using our planet’s resources is destructive and unsustainable. The focus on trees and forests and the threat they face is a means to make the case. …describes how a rotting log is home to orders of magnitude more living tissue than the living tree… The judge asks what living things might need a dead tree. Each of the human protagonists of The Overstory finds their own way to speak and act for the trees, the forest, human and non-human life on Earth. They are not always consistent or effective, but their collective story succeeds in shifting our attention from the individual to the system and onwards to planetary survival. We have no long-term future if we cannot think long-term and act sustainably at the global level or if we believe we can continue to destroy so many of our planet’s ecosystems without consequences. As Richard Powers has said about the natural world: “competition is not separable from separate forms of co-operation”. This book is full of important lessons about trees and forests and also about ourselves; lessons which hold the key to our survival as a species. And the father what is he doing the father? What does he think the son? 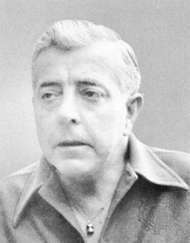 When I looked for a version of Jacques Prévert’s anti-war poem ‘Familiale’ in English, I wasn’t fully satisfied with any of the ones I found, even that of the great Lawrence Ferlinghetti (1958). So I had a go myself. Translating anything, especially poetry, requires give and take and there can be no final authoritative version as the choices made are often a matter of interpretation and taste. With this poem, the inevitable big loss in translation is one of rhyme. There is no way of reproducing ‘père, mère, guerre, faire, affaires, cimetière’ as rhyming words in English. Once you accept that loss, it’s then about trying to make up for it with similarly simple, everyday sing-song language which communicates the universal message and works in repetition. The choice of ‘knitting’ for ‘faire du tricot’ and ‘fighting’ for ‘faire la guerre’ was based on their directness. ‘Doing the knitting’ and ‘making war’ or ‘going to war’just didn’t work for me and I felt that Ferlinghetti’s ‘fights the war’ and ‘finishes the war’ weren’t quite right either. I realise that there is some resulting ambiguity about what kind of fighting is being referred to if the word ‘war’ isn’t used. When it comes to ‘faire des affaires’ there’s no good substitute for ‘doing business’ but obviously ‘knitting, fighting and doing business’ in English does break with the repetition of ‘faire, faire, faire…’ in the original. Lots of difficult choices, but of course the joy of translation is that different versions can coexist. Fred Jarvis and ‘what the future holds’. It was a great privilege to join with so many others this week in a belated celebration of Fred Jarvis’ 94th birthday at the Institute of Education in London. It was both a joyous and a serious occasion. Far from simply basking in all the affection, Fred was keen to get his many friends to think constructively about the various challenges we face, both locally and globally. He selected the theme ‘what does the future hold?’ and invited a panel of Estelle Morris, Helena Kennedy, Jackie Ashley, Sally Tomlinson, Wes Streeting and Polly Toynbee to get the discussion started. There is plenty to be pessimistic about in our current context and the speakers’ pessimism ranged over a wide terrain including climate change, the devastation of public services caused by austerity, the likely long-term impact of Brexit divisions on British society, the rise in human rights violations and injustice around the world and the potential for new technologies to disrupt employment and deepen inequality. This ‘pessimism of the intellect’ was tempered with some ‘optimism of the will’ and the panel identified some green shoots of hope in the people and movements capable of offering an alternative, but the overall feeling was that progress cannot be taken for granted and that things could get a lot worse. Quite rightly, people at the event expressed great hope in our young people, who seem to represent the promise of a better future. The young clearly have a big stake in the future; after all that’s where most of their lives will be located. Investing in a better future has to include investing in our young people. But no generation has a monopoly of idealism or optimism and we are never the wrong age to consider what legacy we leave to future generations and to do something to make sure it’s better than the one we inherited. People of all ages can come up with world-changing ideas and every generation has the potential to work with others to transform things for the better. The greatest source of hope at this birthday celebration was Fred himself. In his 95th year, he is a living embodiment of the clear-sighted, radical and practical idealism which we need. In his contribution he reminded us that we achieve nothing without collective action built on bonds of mutual understanding and friendship. Fred; the Plaistow boy, the student leader, the teacher trade unionist, the education campaigner, the photographer, the enthusiast and the friend, reminds us, in everything he has done and does, of the life worth living. When the oldest person in the room is so focused on making a better future, the rest of us must surely put aside any despair and cynicism and recommit to life and human progress. The proposed creation of a National Education Service (NES) for England offers us the possibility of a decisive break with the market model, where education is treated as a commodity and where individual and institutional competition are regarded as the drivers of improvement. Is the advocacy of an NES an historic opportunity for English education and what might be the benefits and challenges of implementing such a proposal? The very idea of creating a single national education system seems novel, if not utopian, in the current English context, even though such systems are commonplace in most developed countries and generally command wide political support. Education in England does not function as a coherent system capable of achieving the aspirations we have for it; whether for greater opportunities or greater equality for all. England lacks both a national vision of what education is for and the system of public education capable of fulfilling our educational aspirations. Different school types run by a bewildering range of unelected bodies compete in an unequal contest for students and results. Selection, both covert and overt is increasingly prevalent and distinct segregated pathways from age 14 are becoming the norm. Students seen as ‘less academic’ are steered towards routes with reduced opportunities for breadth and depth of learning. I wrote about the creeping marketization of the English education system in the Spring 2015 edition of Forum1 and concluded by imagining two different futures for English education following a 2015 general election. One, (Future A) was based on an extension of marketization and the other (Future B) on the development of a National Education Service. In this imagined Future B scenario, the demand for a National Education Service grows from dissatisfaction with the incoherence and chaos people are experiencing across all the phases of education and a sense that the solution might be found in the imagination and daily practice of the people actually concerned with education. So, following a national debate about the purpose and organisation of education in England it becomes clear that there is a real consensus that England needs a common national education system with both social and personal objectives to meet the needs of all its people. The most common expression of this is that ‘education needs to be like the NHS’. There is a groundswell of support for a comprehensive national education system based on agreed common aims, cooperation and universalism rather than competition and selection. The breadth and depth of the national debate gives people the confidence that change is possible and promotes a sense of optimism about the future. Another outcome is a celebration of the work of teachers and pride in the work of students as people learn more about what happens in our schools and universities. The commitment to create an NES “open to all throughout their lives”2 offers solutions to many of the problems of our fragmented and divided education ‘non-system’ and a possible route to Future B. Using the NHS paradigm for education requires a major shift in the way we think about our educational institutions. The idea of mobilising all publicly funded education providers to serve the whole community could be very popular if it can be attractively fleshed out. People will need to understand what a National Education Service might look like in their area and how it might benefit them. This requires concrete examples of how a fairer and more effective system could be assembled from the somewhat dysfunctional set of elements we currently have. In order to make the case for an NES, there also needs to be a clear critique of the marketization of education. Providers in all phases in England are operating in a market where they compete for students and are subject to a high-stakes accountability regime where any performance below average is seen as failure. This is not conducive to a high-performing and supportive system. With at least one major party now placing the idea of an NES on the political agenda, there is the opportunity for a real debate about the extent to which we want to turn away from market mechanisms and reinvigorate public service values in education. So far, the proposal has mainly been defined in terms of resources; university tuition fees and school funding for instance, with less attention given to purpose and organisation. While the case for more investment is clear, the creation of an NES is a higher order question. A national drive to make the best of what’s on offer available to all our citizens could be the centrepiece of a winning programme and education could find its ‘NHS moment’. The idea could be a game-changer and could lead to a new consensus which could attract support from across the political spectrum. 2. What do we want from an education system? Any attempt to construct a new system needs to be based on what we want it to achieve. At the highest level, we could start with ‘human flourishing’ as an aim; addressing both the development of fulfilled individuals and the creation of a good society. We shouldn’t have to choose between preparation for life, preparation for work, active citizenship or cultural literacy as aims. They are all indispensable and interdependent. Any definition of purpose also has to do justice to where we are and where we’ve come from; the world as it is and the world as it could be. Education has to help all citizens join the world while also opening up the possibility of challenging and changing it for the better. Asking the question ‘what is the purpose of education?’ inevitably leads us to rethink many of our current assumptions, such as the binary thinking about people’s capacity to learn which has them being either ‘good with their brains’ or ‘good with their hands’. It should require us to challenge the received wisdom that education is essentially a private commodity to be rationed and fought over and not a social good based on co-operation. It should also blow the case for selection and segregation out of the water. The more widely and deeply the question of purpose is discussed, the more powerful the answers will be. The debate needs to go well beyond the Westminster bubble of policy makers, think-tanks and experts and involve as many people as possible. Such a debate goes to the heart of our view of ourselves and the kind of society we want. What emerges might well surprise and delight us. Our current ‘anti-system’ of unequal competing providers in a somewhat chaotic market is not capable of achieving any national educational aims based on equality or inclusiveness. If we want to have national educational aims, we need to give ourselves the means to ensure they can be achieved. This requires national coherence and consistency across the board, in short, a system. Before discussing where we go next, it’s worth briefly considering how we got where we are now. The market experiment has had many negative effects and many victims. Those who would reverse it need to highlight the problems, but also to understand what drove it in the first place and to learn the lessons. What were the ideas and arguments which drove the gradual turn to the market from the 1980’s onwards? They started at the margins of politics with the Black Papers and the early ‘culture wars’ of the 1970’s and worked their way to the heart of policy making during the Thatcher governments, morphing into the target-driven public service reform of the Blair governments. The stages in this process are well documented by Ken Jones3 and others. The claims about the system as it was in the 1970’s included that it tolerated low achievement and failure, discouraged ambition and achievement, was wasteful, inefficient and bureaucratic, was subject to local authority political whims, was unresponsive to parents’ wishes or the needs of the economy, offered little choice and was organised for the convenience of its workers rather than the aspirations of students and parents. Whatever we think of these claims, they had some purchase and resonance with parts of the electorate and all contributed to justifying an incremental reform agenda which has built the new market ‘common sense’, in education as elsewhere. This was presented as benefiting the consumers; parents and students in this case, by strengthening their market power. The trend to greater marketization was in tune with the ‘choice and diversity’ and ‘freedom and autonomy’ agendas which were themselves a response to an alleged crisis of ‘standards’. These tendencies fit within what Pasi Sahlberg4 has called the Global Education Reform Movement (GERM) and connect to global pressure to ‘open’ public services to greater competition and market forces, encourage new entrants and reduce the influence of education workers and their unions. This movement is neither monolithic nor irreversible, but we need to learn from the last 30-40 years and acknowledge the power of its arguments. We cannot ignore such key concerns as standards, choice, innovation and efficiency. These questions need to be addressed and it is not in the interest of advocates of an NES to be seen as tolerating mediocrity, inefficiency or bureaucracy. NES advocates need to have something to say about what the benefits of institutional autonomy might be, how success and achievement should be defined, how to use performance data and research evidence to best effect, what the potential is for innovation and creativity within a national system and how to achieve a balance between system stability and competition as conditions for improvement. An NES needs to be based on the wider public interest while also responding to the aspirations and ambitions of individuals. Rather than rejecting the language of ambition, advancement, choice and standards, it could be appropriated and broadened by finding a language of ‘self-interest plus’ with the ‘plus’ being the social or civic interest, intergenerational solidarity, pride in collective achievement, concern for community; local and global. Rather than rejecting the idea of ‘rigorous’ curricula and assessment, the case could be made for a broader kind of rigour. To the benefits of hard work, concentration, pride in a job well done, we could be adding those of democracy, deliberation and debate, co-operation and consensus building. To the rhetoric of social mobility, we could be adding that of social equality; creating a society where the cost of failure and the spoils of success are reduced in the interest of social cohesion. To the consumer’s instinct to select, evaluate and acquire, we could add the educated citizen’s instinct to inquire, reason and critique. The market teaches us to be acquisitive, but where are we to learn to be inquisitive if not in our public education system? 4. What might a National Education Service look like? The new system should be built from the existing one with collaboration around nationally agreed shared aims, core entitlements and funding as givens. Requiring education providers to work together in the interests of their communities would release a ‘co-operative dividend’ or ‘partnership premium’ by squeezing out much of the waste and inefficiency of market competition. There needs to be a new settlement between national, regional and local levels of government about where to locate different responsibilities. This would include an equitable national funding system and admissions processes as well as a new level playing field with a single legal status for all schools which describes their degree of autonomy as well as their accountability. This will mean a shift from competing chains of schools towards local and regional collaborative networks. Strategic planning and decision-making should be transparent and subject to democratic scrutiny. A regional level will be needed for post-16 and higher education where catchments are wider and specialisation greater. There needs to be a balance between local democratic accountability and national minimum standards of service. The planning and regulation to ensure quality and equality will need to be light touch, with a minimum of bureaucracy. There should be room for regional and local innovation as well as specialisation, and the regions could lead on different themes, share this work nationally and create new forums for action research, evaluation, curriculum and professional development. There should be scope for choice and diversity within this comprehensive system without the need for competition or market incentives. There could be friendly rivalry between different parts of the service as they strive to offer the best to their communities, but this should be combined with a commitment to sharing what they do best to help the whole service improve. The English regions should be given the right to elect education councils to oversee the development of the system in their region using the full range of educational resources available, giving the new councils a strong mandate to develop a distinctive approach for their area compatible with the national aims. The school curriculum should be redefined in terms of human flourishing as well as the fundamental knowledge and skills that everyone needs to build on to be a successful contributor to society. There should be both breadth and specialisation at upper secondary level, with no options being closed off at any age. Any national curriculum will need to command widespread support, to be broad and challenging and apply to all, while allowing for some innovation and experimentation at school and regional levels. We should aim to give young people the tools and the opportunities to access the best that human culture has to offer and to develop the skills which allow them to make a difference in the world. A National Baccalaureate for all young people to aim for. This would recognise and celebrate the talents and skills of the nation’s young people, including their creativity and contribution to community and cultural life. Achieving a full diploma would be recognised as a challenging and valued milestone for all young adults and a passport to further progression. A broader National Citizen Service for young people which would include all volunteering and civic activity with the opportunity to ‘earn’ credit towards university or adult education based on the number of hours of activity. This would be a mutual ‘something for something’ way to move away from fees while also promoting community development and cohesion. Local arts and language education hubs to guarantee access to ‘minority’ or threatened subjects not available in all schools or colleges. An adult learning entitlement to free education for all non-graduates, delivered through new adult learning partnerships and driven by learner demand. This could lead to a renaissance of all sorts of adult learning with universities working with others to respond to the needs and interests of adults in their region. Study circles, reading groups, current affairs groups, cultural and health activity, community organising and volunteering could all feed in to university extramural programmes with a consequential strengthening of community solidarity. Elections for new regional leadership for education across all stages, creating space for debate and discussion of educational aims and priorities. A new system will also need new institutions; responsive, inclusive and democratic ones which we have yet to invent. This will require an experimentalist culture, as described by the Brazilian philosopher and politician Roberto Unger5. Unger argues that we should not give up on the central promise of democracy which is that people’s ‘constructive genius’ can be applied to the task of achieving greater equality and a better life, democratise the market and deepen democracy itself in order to overcome what he calls the ‘dictatorship of no alternatives’ which can paralyse those who want to make real change. Popularising the idea of a National System is just the start of a process of renewal. How might it be brought about? We need to make sure that it is informed by the best of our values while recognising that the aims and values of education are always going to be contested and subject to debate. This doesn’t mean that we should give up on striving for consensus or aiming for system stability. It will require a broad and inclusive process of policy deliberation and construction, allowing plenty of time to put together a coherent popular alternative for 2022 if not sooner. Developing the policy that could make this a reality will require considerable discussion around both values and priorities. An NES should be grounded in equality and opportunity for all and the vision must be generous and inclusive; based on the belief that everyone can benefit from a full, broad education and everyone is entitled to access the best that our system can offer. The architecture of such a national system could be created by a single Education Act early in the new parliament. But the work of building support for such a system, of embedding and developing it, will need to come from ongoing deliberation about the role of education in our society, both before and after the next election. Recent years have seen a big shift of power to the national state in order to impose curricula, changes to the status of schools and to prevent local authorities from opening new schools. An NES needs to shift power back to accountable local authorities to plan provision and respond to the needs of their areas. The national state should not try to micromanage education but instead use its powers to regulate the system to ensure quality and equality and protect the interests of learners, particularly the most vulnerable. Providers receiving public funding should be publicly accountable and we are entitled to ensure that our money is being spent in the public interest. This does not require a big bureaucratic state, but can be achieved by a small, often local, smart and democratic state. The current patchwork of ‘57 varieties’ of school with different ways of sorting and segregating learners or offering curriculum specialisms creates confusion, narrows opportunity and institutionalises inequalities. A better planned system could enhance choice while aiming for a good school for everyone. Incentives which encourage some friendly competition between providers or areas to innovate and experiment would be entirely compatible with a national planning framework. A local, regional and national system based on schools with a single status working together could help to achieve excellence for all and respond to all our various educational needs much better than the chaotic market we currently have. We need to try to establish a consensus about what ‘standards’ we actually value, but clearly we would want a national system to be focused on offering the best to everyone and to promote high expectations. We know that selection does not raise standards but generally concentrates privilege. Selective admissions are all about keeping people out and we need to make the comprehensive case for opportunities and high standards for all; bringing people in. While there is a good case for spending more on education, the creation of a national education system does not in itself depend on this. Despite damaging cuts and austerity, there are plenty of examples of waste and duplication in the current landscape. Better co-ordination and collaborative planning can ensure that resources are used more efficiently rather than being wasted on competition. If people feel a real sense of ownership of the system, they will support the case for improvements and be prepared to vote for them. The case for a National Education Service is strong and clear. It can be made by analogy with the National Health Service. If we see public education, like health care, as a social good which can benefit individuals while also benefiting society, we need to ensure that the best we can offer is available to everyone throughout life and regardless of means. The fact that such a proposal is now on the agenda shifts the terrain of debate and has the potential to build a new consensus based on valuing education as a means of social advance as well as personal liberation rather than overemphasizing personal economic gain. The 2020’s could provide us with a historic opportunity to ‘re-set the dial’ in English education in a way which benefits everyone and transforms the lives of many, just as the creation of the NHS did for health in 1948. If such a change is to be sustained and developed, the debate about the ends and means of public service education needs to involve as broad a constituency as possible; before, during and after the creation of such a Service. If the development and implementation is well handled it could usher in a period of cross-party agreement on the broad design of the system, as there is in many other developed countries, without precluding continued lively political debate about purposes, priorities and direction. At a time when we face major social fracture in England and a demoralised public sector, the promise of a National Education Service is the promise of social advance and personal fulfilment for all. Are we ready to grasp this historic opportunity to transform one of our most precious public services? Jones, Ken (2016) Education in Britain 1944 to the present (2nd edition) Polity. Sahlberg, Pasi (2011) Finnish lessons: what can the world learn from educational change in Finland? Teacher’s College Press, New York. Unger, Roberto, (2009) The Left Alternative, Verso. 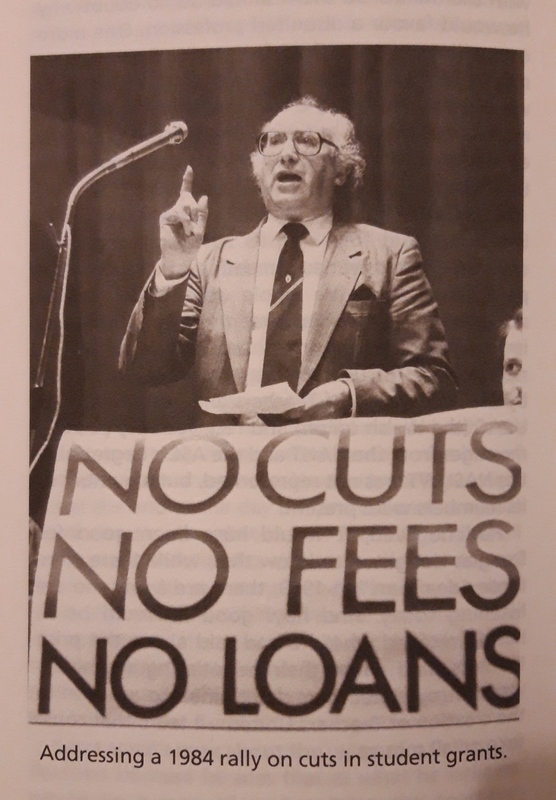 Eddie Playfair (2018) The Promise of a National Education Service, FORUM, 60(2), 159-170. When I started at NewVIc , I was sixteen and I didn’t really know what I wanted to do. This was probably obvious from my A-level choices: Philosophy, English Literature, Classical Civilisations, Maths and Further Maths. At a stage in my life when I didn’t want to close any doors, NewVIc was the perfect place for me. To a prospective student this was apparent from the unrivalled array of qualifications and extra-curricular activities on offer. Once I started my studies it became obvious that this was just an aspect of a wider culture of offering students every possible opportunity, whether it be in form of abundant advice, resources, activities (tennis, chess and debating took up much of my spare time), or college trips (visiting Athens to study Greek Democracy and Philosophy was a highlight for me). The importance of such a fountain of opportunity in an economically deprived place like Newham cannot be overstated. My time at NewVIc paved the path for me to study Economics & Politics at SOAS, start a social enterprise, live and work abroad, and forge a career for myself in the tech industry. Studying at NewVIc encouraged me to explore new things and develop the confidence necessary to take risks. Straight out of college I signed up to teach in rural India for 10 weeks, that was an unforgettable experience that inspired me to return to India but this time to help social entrepreneurs as a volunteer for UnLtd Tamil Nadu. While I was there I ended up running a successful crowd funding campaign for a livelihoods charity and showcasing UK tech start-ups with UK Trade & Investment. Currently I work for an innovative tech start-up called Squared Up – they provide cutting edge application monitoring and IT data visualisation solutions for organisations like the Bank of England, Ford and Deloitte. For anyone who is interested in Social Entrepreneurship I would highly recommend checking out UnLtd (www.unltd.org.uk). They provide support, funding and connections to aspiring social entrepreneurs of all ages. They have a particular focus on solving the issue of unemployment and employability, if you have an idea for a Social Enterprise let them know! I’ll always be grateful to NewVIc for the leg up it gave me and, more generally, for the positive impact it continues to have in the place I call home. 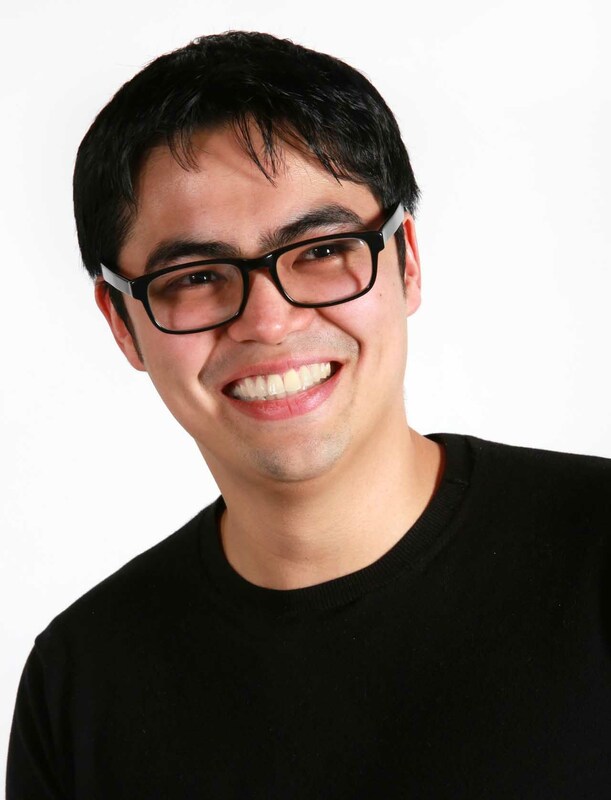 My NewVIc story: Raymond Fernandez. My NewVIc Story: Amritpal Gill. 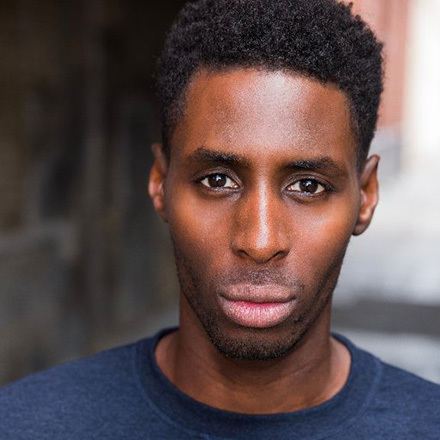 Former NewVIc student Joseph Adelakun is a member of the Royal Shakespeare Company and performed in the new RSC productions of Julius Caesar, Titus Andronicus and Antony and Cleopatra. At NewVIc, Joseph studied A-level Drama, A-level English Literature, A-level Music, AS-level Philosophy, AS – level Film Studies and a BTEC National Award in Music Composing. I’ve lived in Newham for most of my life. I went to primary school in the borough and then to Kingsford Community School before enrolling at NewVIc and I still live in Newham now. I don’t remember a concrete moment when I decided to become an actor, I just remember enjoying performing and wanting to do more of it. By the end of primary school I knew the performing arts were my favourite subjects and in secondary school I remember thinking acting was incredible because it allowed me to be other people and do and say the things that normally I wouldn’t or couldn’t say. Whilst I was at NewVIc, I also attended the Weekend Arts College on Sundays and there I found out more about drama schools. They provide full-time practical courses, and they have a large number of industry professionals visit their final year performances. From NewVIc I went on to study drama at Rose Bruford College and since graduating I’ve had plenty of work as an actor. I suppose the more shows I’ve been in, the more people in the industry have seen my work and called me in for auditions, and eventually I got an audition for the Royal Shakespeare Company! Sometimes there are gaps where I’ve not done an acting job, so I’ve done non-acting jobs to keep busy. I’ve even worked with Solid Harmony Choir at NewVIc which was fun because I used to be a member of the choir when I was at college. My first paid theatre job, before I went to drama school, was with the people behind Ramira Arts who I met through going to an extra-curricular drama club at NewVIc. When I was with Ramira Arts I actually performed at NewVIc a number of times so you never know where your next job is going to come from or where it will take you. I’m a great music lover and I had heard that NewVIc was one of the best places for music; so actually, it was the music department that brought me to NewVIc. The performance opportunities at NewVIc were the highlights of my time at college, it was always great to have a performance to work towards and it felt like there was a real performing arts community within the college and we’d all support each other. I also remember having a good time at NewVIc because the people in your classes were like-minded, they really wanted to be there and they’d picked the subjects they wanted.The teachers at NewVIc were very supportive and it was the performance opportunities and practical elements they provided that were most useful when it came to progressing onto drama school, as I did such a practical course. Before I came to NewVIc I was enthusiastic and confident and very excited about going to sixth form, When I left, I was even more confident and ready for new challenges. My advice to anyone who wants to go in to acting is firstly to really ask yourself why and what you hope to achieve. It’s not an easy industry to get into and sustain yourself in, so you really need something to hold onto during the hard times. It also might be that you want to learn skills from acting to help you do something else that isn’t acting, like being more confident in interviews or having better social skills when meeting new people. Or you could use acting skills as a platform to lead you to working within the arts in a different capacity, maybe as a writer, director, producer, cinematographer, movement director or dramaturge for instance. I’d then say go to as many acting/drama clubs and classes as you possibly can, and once you’ve found out about different places, get picky and go where you feel comfortable to challenge yourself the most. I’d say you want to concentrate on becoming the best actor you can be – this is a life-long-journey by the way – and connecting with as many organisations. I did projects at Stratford Circus, Theatre Royal Stratford East, WAC – but there are also places like the National Youth Theatre and NYMT. This helps you to learn more and also to meet more people in the industry. I’d also say; talk to as many people as you can for advice, particularly people who have more experience, like other young people who may have been doing it for longer than you. Something I like to keep reminding myself is that human beings have an amazing capacity to learn. No matter how bad I am at something, whether it’s an artistic skill or a social skill, I can always get better. I think what motivates me is the wonder and beauty of love and life. This week saw the launch of The FE and Skills System, a study by The Policy Consortium. Subtitled ‘The consequences of policy decisions – lessons for policymakers and stakeholders’, this thorough survey reaches deep into the heart of FE; drawing on feedback from over 500 respondents – experienced, thoughtful and committed professionals – around half of whom are front line staff. The report has some clear messages for all the key agencies in post-16 education. Rather than simply acting as a transmission belt for our concerns and grievances, the study identifies 8 key themes and 23 specific root-cause issues and goes on to make constructive recommendations, all of which deserve serious consideration by our key national stakeholders. The departments and funding agencies sometimes make decisions without properly understanding the impact on learners, nor the impact on colleges’ ability to compete with other education providers. Colleges face a number of substantial external challenges, some of which are exacerbated by the actions of the departments and their funding agencies. 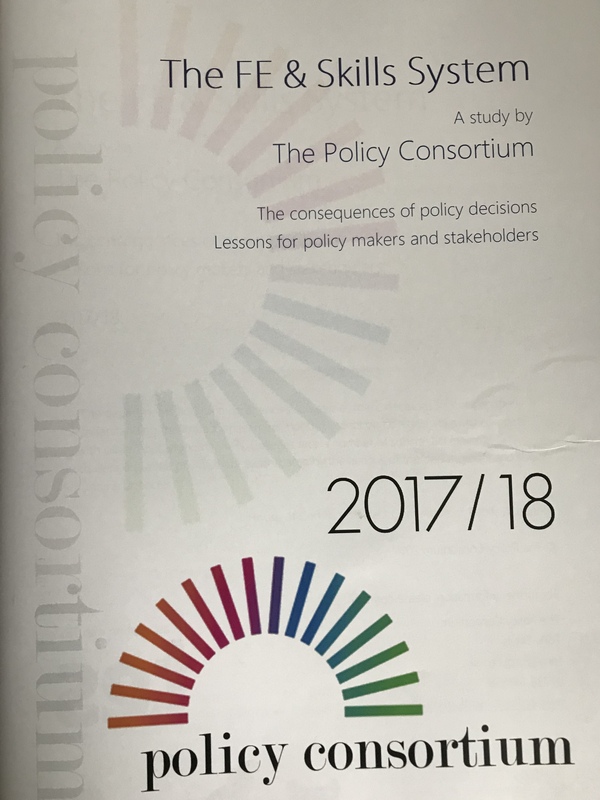 By listening to the people most affected by these challenges and most committed to the success of the sector, the Policy Consortium study is able to provide first-hand accounts of the impacts of incoherent policy. In summary, it seems that if we want to create the conditions for systemic success we need a clearer vision for the sector, more joined-up policy, performance measures which better reflect our aims, less policy volatility and more secure funding. By focusing on ‘asks’ of other agencies, the report prompts those of us working within the sector to ask ourselves what we could do differently to help create the kind of system which can genuinely achieve our aim of a successful learning society which serves all its citizens. In his excellent presentation at the launch, Tony Davis shared some thoughts about how the sector could take the agenda forward constructively itself by choosing as its starting point the impact we have on learners. We want our students to become more independent, to be able to research and synthesise, create, adapt and grow, fuelled by curiosity and with an intrinsic understanding of value and quality; in short to be expert learners throughout their lives. The other major focus of the report is on the policy volatility which has certainly impacted on our work. This understandably leads some to argue that we should ‘take politics of education’ or ‘leave policy to the experts’. However, rather than being a consequence of too much political interest, I think this policy turbulence is a sign of the lack of consensus, clarity and confidence from politicians about what they think society wants from its FE system. Our representative bodies, such as the AoC, are increasingly good at describing the importance of our work and this could translate into the kind of national consensus which exists around the idea of a National Health Service free for all at the point of use. The NHS is not above politics or free of debate about means – but there is a high degree of agreement about its aims and value. Politics is how we bring about change in a democratic society and it works best when the agenda is clear and there is popular understanding and support. If anything, FE would benefit from more politics; a higher public profile and better informed public debate. Build a strong consensus about the purpose and importance of FE in our society. Value and develop the professional expertise of college staff. Make the social case as well as the economic case for our work. Offer our students coherent curricula, not just qualifications. Demonstrate the benefits of collaboration rather than markets to meet the educational needs of our communities. We should thank Tony Davis and his colleagues for this significant contribution to the discussion and each of us can do our bit in helping to create the conditions for an even more successful further education system. A pdf version of the report can be found here and there is also a flipbook version. Let’s tackle the causes, not the symptoms Tony Davis in the Times Education Supplement this week.